When most regular people who work regular jobs mess up royally in the course of doing their jobs, or do something that the Human Resources department has very clearly said is not acceptable, the punishment is usually getting fired. This is not what happens in the world of professional sports. Athletes, coaches, and front office folks bring in so much money for the team (and have such ironclad contracts) that when they do something they shouldn't do, either the league or their club issues a substantial fine. And when we say substantial, we mean tens of thousands of dollars or more. Of course, that is quite literally small change to people who make million a year to throw a ball correctly, but it serves as a small reprimand and notice to the public that sports figures can't get away with everything. Once in a while, however, the offense is so egregious that a few grand simply won't cut it. Here the stories behind some of largest fines ever issued in the world of sports. In the late '90s and early 2000s, a performance-enhancing drug scandal broke open and tore apart the world of Major League Baseball. Players linked to seedy doctors and sports medicine facilities went from heroes to pariahs in an instant when fans learned their amazing stats came after they were using powerful substances banned by the league. Among those connected to PEDs who disappeared from the "all-time greats" conversation include Barry Bonds, Roger Clemens, and Rafael Palmeiro. By the mid-2010s, Major League Baseball remained stung with embarrassment and shame and wasn't afraid to make an example out of someone caught using boosting drugs … even a superstar. 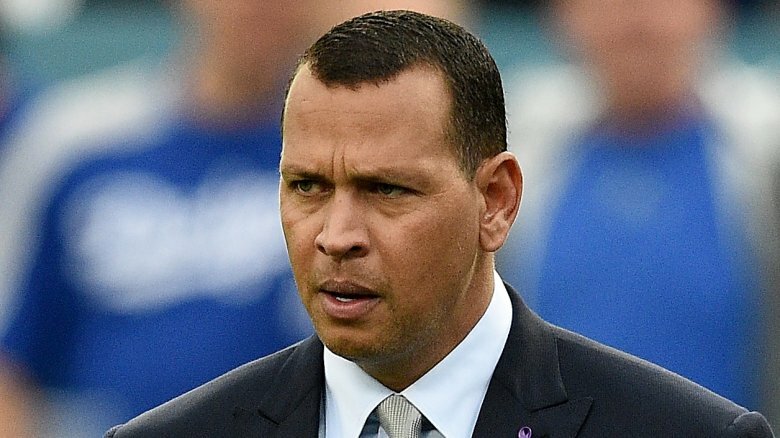 Before the start of the 2013 season, links emerged between living legend Alex Rodriguez and Biogenesis, a Florida anti-aging facility also accused of prescribing PEDs. Fighting allegations and recovering from an injury for most of the 2013 season, Rodriguez played in only 44 games that year, but he played zero games in 2014. Initially, Rodriguez received a 211-game suspension for using substances he shouldn't have used, but an arbitrator cut it to 162 games, i.e., the entire 2014 season. Rodriguez wasn't officially fined, but his suspension was one without pay. That makes for a de facto fine of the equivalent of one year of salary for A-Rod: then a whopping $25 million. Two NBA teams went to great lengths — and their own extreme detriment — in pursuit of a player named Joe Smith, a guy whose stats were about as average as his name. The Golden State Warriors selected the forward/center with the #1 pick in the 1995 draft, passing on the likes of Kevin Garnett and Jerry Stackhouse. Smith moved around the league a lot, playing 16 season for 12 teams, and one of them got in a lot of trouble for wanting Smith so badly. According to league officials, the Minnesota Timberwolves re-upped Smith's contract with a seven-year, $86 million extension. However, that's not what the team told the NBA. The T-Wolves attested that they'd signed Smith to a one-year, $1.75 million deal while keeping the real deal under wraps because Minnesota couldn't afford the full deal at the time without violating salary cap restrictions. 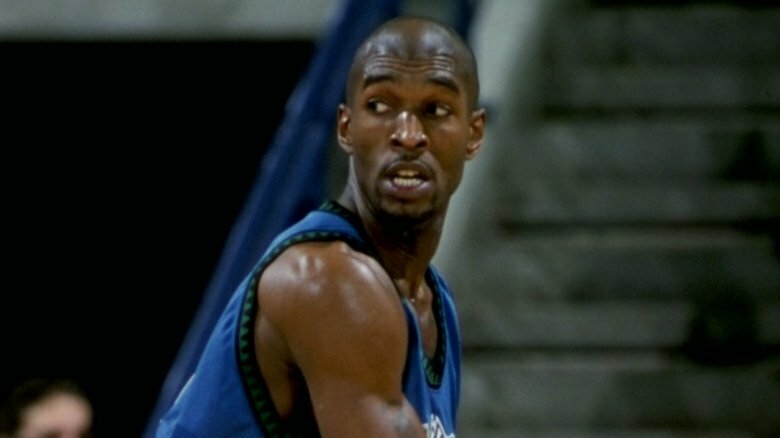 In October 2000, the league delivered its punishment to the Timberwolves: forfeiture of its first-round draft picks for five years, and a fine of $3.5 million. That amounted to what was, at the time, the largest financial penalty in American sports history, all for a guy who averaged about 11 points per game during that two-year stint with the Timberwolves. In April 2014, TMZ got hold of an audio recording of an argument between Los Angeles Clippers owner Donald Sterling and his girlfriend, V. Stiviano. She'd posted to Instagram a photo of herself with NBA legend Magic Johnson. The fact that he's African-American didn't sit well with Sterling. "It bothers me a lot that you want to broadcast that you're associating with black people," Sterling told her, before requesting that Stiviano not bring African-Americans to Clippers games. This wasn't remotely the first time that Sterling was accused of racially prejudicial behavior. He's been sued twice for allegedly declining to rent apartments he owned to African-American and Latin-American tenants, and one-time Clippers executive Elgin Baylor sued him for discrimination. While the NBA opened an investigation into the matter, Sterling's own team boldly staged a quiet protest against his ugly comments by hitting the court for a game wearing their jerseys inside-out to hide the Clippers logo. Then the sponsors started pulling away, among them Virgin America, Red Bull, and Lumber Liquidators. 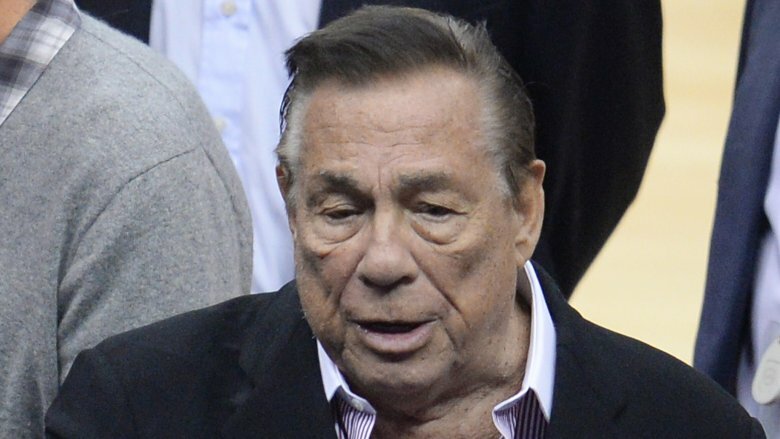 The NBA ultimately banned Sterling for life, a move that necessitated a sell-off of the Clippers. "Sentiments of this kind are contrary to the principles of inclusion and respect that form the foundation of our diverse, multicultural, and multiethnic league," commissioner Adam Silver said in a statement. Additionally, the league levied a $2.5 million fine against the owner, "the maximum amount allowed under the NBA constitution." In 2018, the Los Angeles Lakers won the LeBron James sweepstakes, luring the free agent and pretty good basketball player out of Cleveland and away from everywhere else. A year earlier, the Lakers missed out on landing another elite free agent, Paul George … but the team still got punished for trying. According to the NBA, Lakers general manager Rob Pelinka contacted Paul George's agent to express the possibility of signing the all-star. However, George was still under contract with the Indiana Pacers and his free agency hadn't yet begun, meaning the Lakers violated the NBA's "tampering" rule by calling too early. 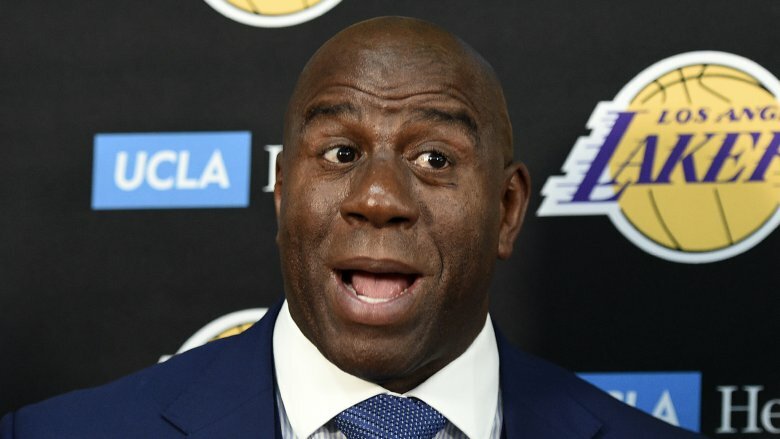 Amazingly, the Lakers had already raised a huge red flag — and been officially warned — regarding tampering and Paul George that season after the team's president of basketball operations Magic Johnson made some slightly unprofessional comments to Jimmy Kimmel. Kimmel asked Johnson if the Lakers had designs on George. Johnson evaded the question, citing that his NBA executive training had taught him that "you can't tamper with somebody else's player." Kimmel pressed on, asking Johnson what he'd say if he ran into George on vacation. "You just can't say, 'Hey, I want you to come to the Lakers,' even though I'll be wink winking like," Johnson said, while winking repeatedly. "You know what that means, right?" The NBA ultimately fined the Lakers $500,000, its biggest ever penalty for tampering. 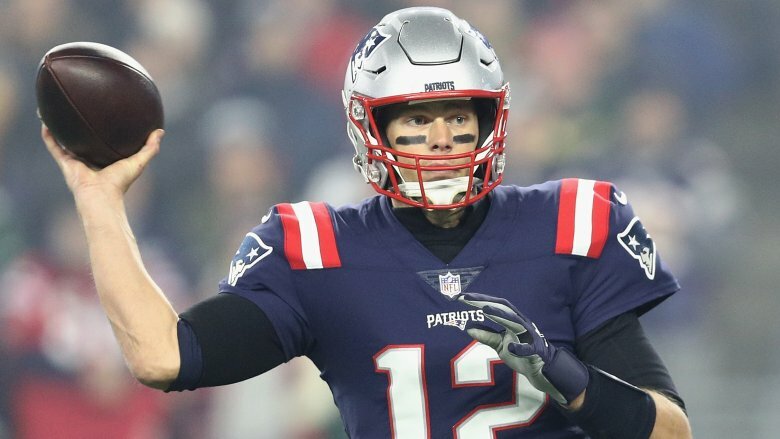 Tom Brady still hasn't said exactly why he wanted to use slightly underinflated footballs in the 2015 AFC Championship, although some experts say they're easier to throw and catch. What is clear: using balls in an NFL game below the league's requirement is a rule violation … and not cooperating with an investigation into such a matter is a no-no, too. During the game, a ball was removed from use, analyzed, and found to hold less air than required. The ball was among those provided by the New England Patriots, and the league later found that all Patriot-provided balls were similarly under-inflated. 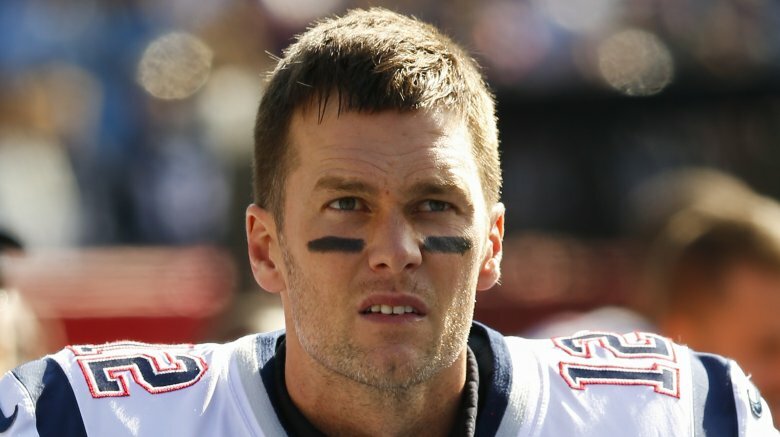 Brady, the NFL's marquee player, golden boy, and routine Super Bowl champion, was suspended for the beginning of the 2015 season. Brady's official crime was engaging in behavior that damaged the league's credibility. The NFL additionally took away a couple future draft picks from the Patriots and fined the team $1 million, the biggest financial penalty in league history. That was for failing to help out with the investigation into what came to be known as "Deflategate." People are still debating whether the Pats did it intentionally or were just the subjects of a witch hunt. A 2006 Winter Olympics doping scandal plays like a '70s cop movie, but with sophisticated performance-enhancing drug paraphernalia instead of bags of cocaine and Austrian skiers instead of New York street toughs. The Winter Olympics were already in progress in Turin, Italy, in February 2006, when local police, acting on a tip that Austrian coach Walter Mayer, caught up in a blood-doping scandal at the 2002 Winter Olympics, had been spotted in town. They raided the Austrian team's temporary home and found a lot of equipment associated with boosting blood to enhance athletic performance — things like syringes, blood bags, blood chemical measuring tools … and banned substances HCG and albumin. Around the same time, Olympics officials administered surprise drug tests on 10 Austrian athletes. Although they came back negative, the International Olympic Committee got all the information it needed from the police report. 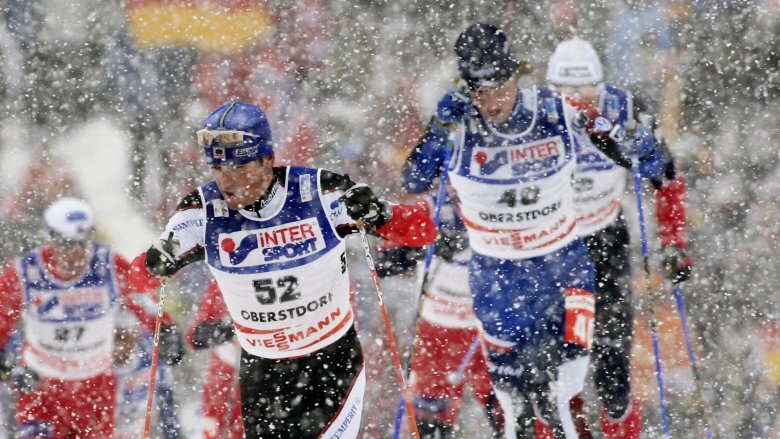 First, the IOC issued lifetime Olympic bans to four Austrian cross-country skiers and two biathletes. Then it docked the Austrian Olympic Committee a cool $1 million from its Olympics revenue-sharing program. One-on-one squabbles are as common in the NBA as Sacramento Kings players asking to be traded. With just over a minute left to play in a game on December 16, 2006, the Denver Nuggets and New York Knicks brought the art of the sports fight to a new level. Denver was enjoying a comfortable 119-100 lead when the Nuggets' J.R. Smith went in for a layup. The Knicks' Mardy Collins grabbed him by the neck. Smith got up off the floor and exploded (verbally) at Collins, and Nate Robinson of the Knicks ran in for (verbal) backup. Then the Nuggets' Carmelo Anthony got involved and pushed Robinson in the neck, which sent a squabbling Smith and Robinson into the stands. Anthony then apparently tried to throw a punch at Collins, then backed away from the melee, only to get tackled. Coaches and security broke it up after that, and before it was over, a total of 10 players earned ejections. A few days later, the NBA served up punishments. Anthony, then the league's leading score, got a 15-game suspension, while Robinson and Smith had to each sit out 10 games. But that's not all: the league fined the Knicks and the Nuggets $500,000 each. When a person commits a crime, especially a federal crime, the ramifications may filter down through most every part of their lives. Not only could they face prison time, but their employer may wish to issue its own reprimand. 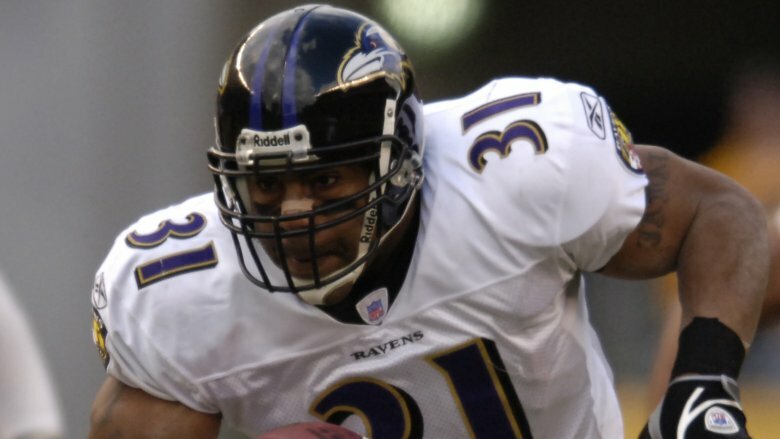 Shortly after the Baltimore Ravens selected him with the #5 pick in the 2000 NFL Draft (but before he signed a contract), prosecutors say running back Jamal Lewis attempted to help arrange a cocaine deal in Atlanta with someone he didn't know was a government informant. Early in the 2004 NFL season, the matter was finally resolved. Lewis pleaded guilty to the federal drug charge, and he received a sentence of four months in prison, two months in a halfway house, and 500 hours of community service. That also made him a first-time offender of the NFL's drug policy. Under that rule, Lewis sat out two games without pay and then had to play in two games for which he was not paid. That all adds up to a fine, in the form of lost wages, in the amount of around $760,000. The NFL's policy regarding videotaping is quite clear. According to the official rule book, "No video recording devices of any kind are permitted to be in use in the coaches' booth, on the field, or in the locker room during the game." The league even sent out a memo on the first day of the 2007 season reminding head coaches and general managers of that rule. "Videotaping of any type, including but not limited to taping of an opponent's offensive or defensive signals, is prohibited on the sidelines," Ray Anderson, NFL executive vice president of football operations, wrote in that missive. Three days later, the New York Jets hosted the New England Patriots in their first game of the season. In the first quarter, a video assistant named Matt Estrella was spotted on the Jets' sideline. The problem is that Estrella worked for the Patriots … and also he was holding a video camera. Clearly, the Patriots were violating those videotaping rules and trying to get intel on the Jets' on-field operations. The NFL fined the team its maximum penalty at the time: $500,000. 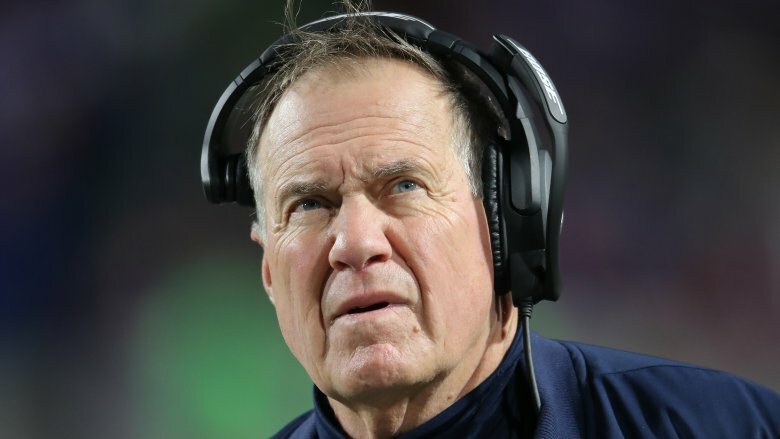 Patriots coach Bill Belichick received a separate $250,000 fine.